I've never thought of using an actual towel to roll my brushes up in. 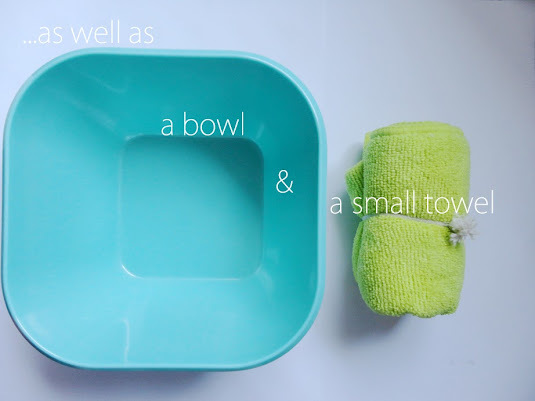 Usually I just roll them up in paper towel when I clean them. Either by themselves or in groups of two-three. But next time I'm going to use a towel! Should work so much better! 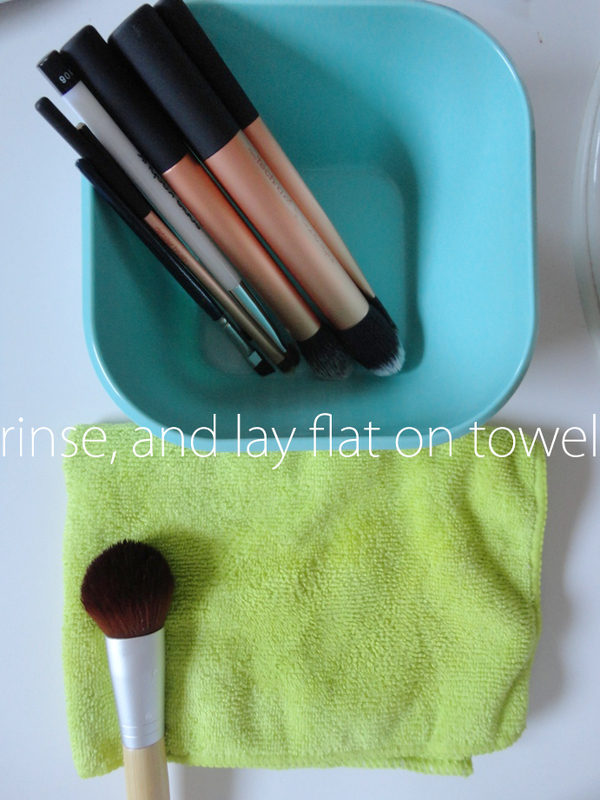 Well, to be honest it doesn't really matter whether you use paper towels or a towel, so long as you get your brushes clean! I'm so bad about storing and cleaning my brushes >.> Nifty post though :) New follower! Will be looking forward to reading your future posts! 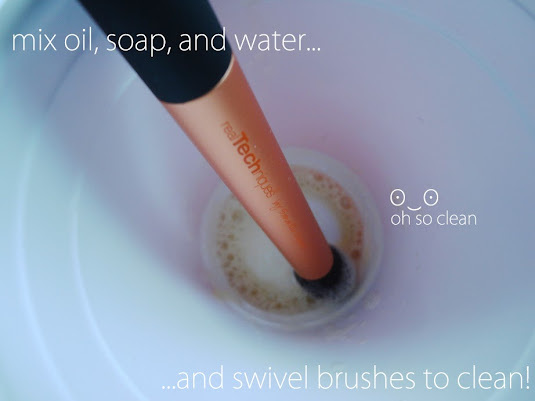 Oh many thanks for share how clean your brushes! I just deep cleaned all my brushes last night and it literally took over an hour. I shouldn't wait so long to wash them all!! I've never wrapped them in a towel... that is a genius idea. I'm waaaaay too cheap to buy brush guards for all of them. 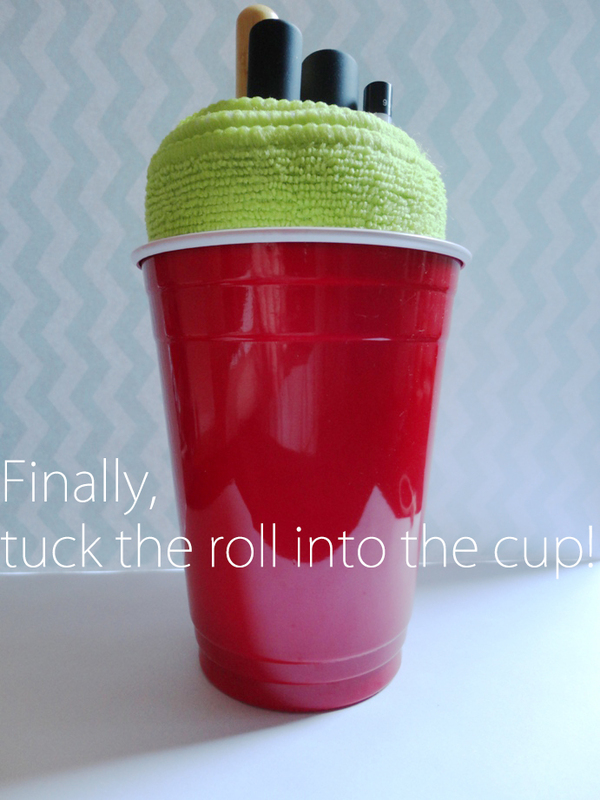 Yeah, I find wrapping them in a towel is actually a great way to hold up vertically! "OUU PICTURES" Lol totally true!! 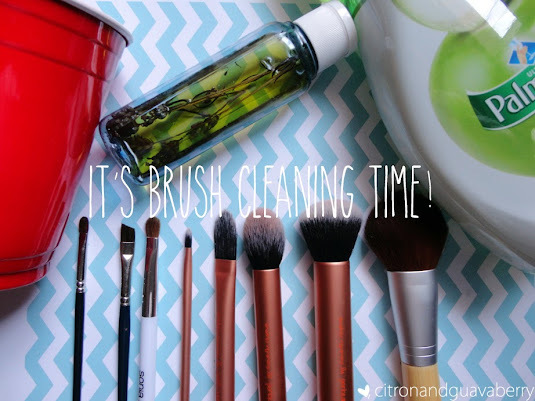 I must go wash my foundation brush! I've had Revlon Colorstay gunk stuck on it for who knows how long ;o; If my brushes could speak they would say that I'm the worst caretaker ever! Yeah!!! I can never get my Colorstay off my brush with just soap and water alone, which is why oil is so useful in brush cleaning! I dont have brush guards either so I'll definitely do that trick next time!! Thanks for sharing your tips! And here I've just been drowning my brushes in tap water and hoping for the best...Super helpful post, I've been neglecting washing my brushes for far too long! oooh i like your cup idea! 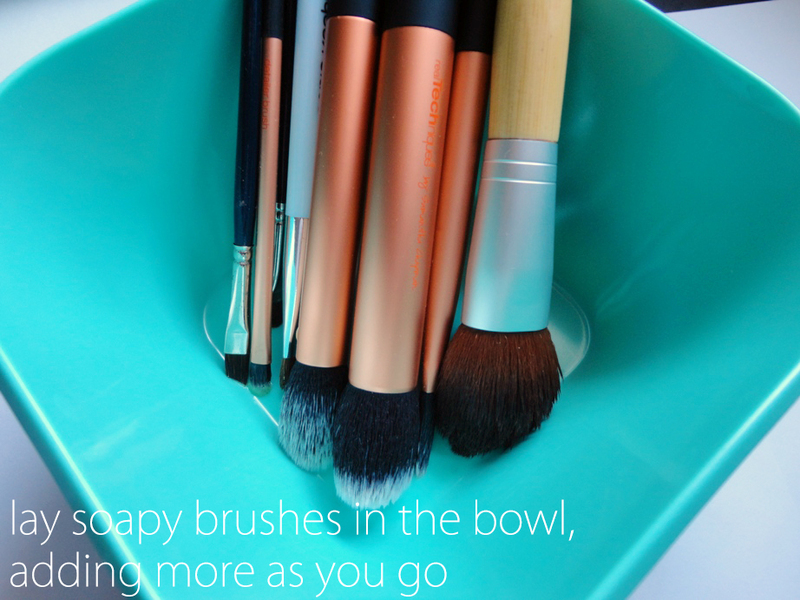 i have too many brushes lol. Wow I literally cleaned my brushes like yesterday and it took foreverrrr for them to dry...I wish I had seen the towel roll thing sooner! Great idea! It's a great way to prop them up! 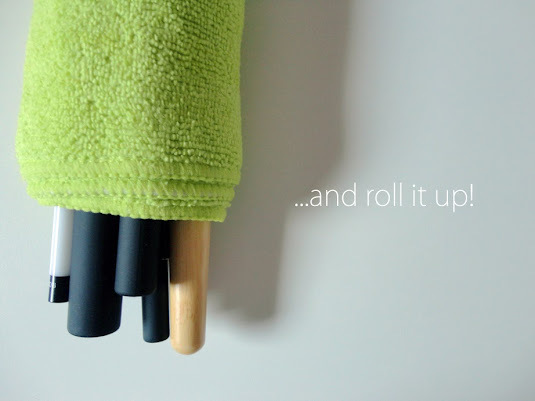 I never thought of rolling my brushes in a towel!! That is such a great idea. I've tried everything from sticking my brushes with tape on the wall and trying to balance my brush in cup, box, whatever and it took them forever to dry. Plus they were never really clean after all that. I enjoyed reading your blog! Will definitely try this out! Love the simple design of your blog! I'm your new follower, hope to read more post from you. Mind checking out my blog too if you're free? Truth be told, I don't know how I came up with the idea either L O L, but thanks! I've also followed your blog; I need to branch out and look more at Asian cosmetics! This works way more efficiently! Thanks for this idea! I've never tried it before but i'll give it a go thanks!